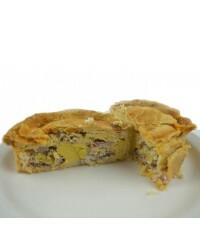 Packs of 10 pies: Ingredients: Gluten free flour, butter (milk) free range steak, onion, r.. 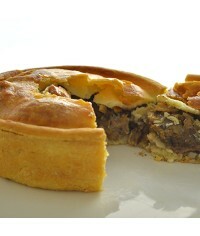 Packs of 10 pies: Ingredients: Gluten free flour, free range steak, onion, red wine (sulph..
Come in packs of 24 Made from only the most luscious homemade Gluten Free pastry. Carefully.. 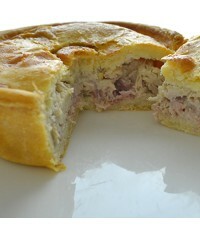 Pack of 5 pies Gluten free flour, butter (milk) free range chicken and bacon,white sauce (gf flou.. 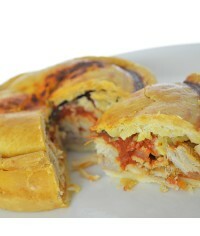 PACK OF 5 Chicken and Chorizo Award winning Hot Eating Pie - Gluten Free "Hot Pie Eating Cha.. 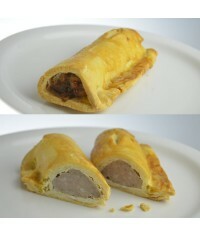 PACKS OF 5 Egg, Bacon and Chorizo Award winning Cold Eating Pie Gluten Free Our multi award winni.. 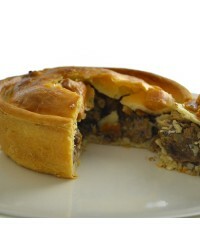 PACK OF 5 Lamb and Mint Pie Gluten Free Ingredients: Gluten free flour, butter (milk) free ra..